It is a valid point that has been made by the media in reporting a Freedom of Information reply from the Ministry of Defence (MOD) indicating that Royal Air Force (RAF) operational aircraft numbers are on average only 66% of any specific air fleet. DefenceSynergia (DS) is not surprised and has written on the subject several times over the past few years and at the same time pointed out that the problems of Readiness, Responsiveness, Resilience and Regeneration cross services boundaries, the Royal Navy and British Army being equally disadvantaged. In the case of RAF aircraft availability the figures are less than transparent. A lack of Operational Audits (OA); support personnel; sustainment funding; qualified pilots, to which should be added Combat Ready (CR) status all impact aircraft availability alongside routine maintenance, servicing and modification programmes. The Defence Planning Assumptions (DPA) now being declared secret not helping to clarify matters. During the Cold War OA was routinely carried out for all North Atlantic Treaty Organisation (NATO) assigned forces who were regularly tested and assessed through Tactical-evaluations and Command Post Exercises (CPX) such as Wintex. These evaluations were structured to meet NATO and national Transition to War (TTW) plans and to test reaction in a Counter Surprise scenario to generate the agreed Order of Battle (ORBAT) at pre-calculated operational and sustainment Rates of Effort. 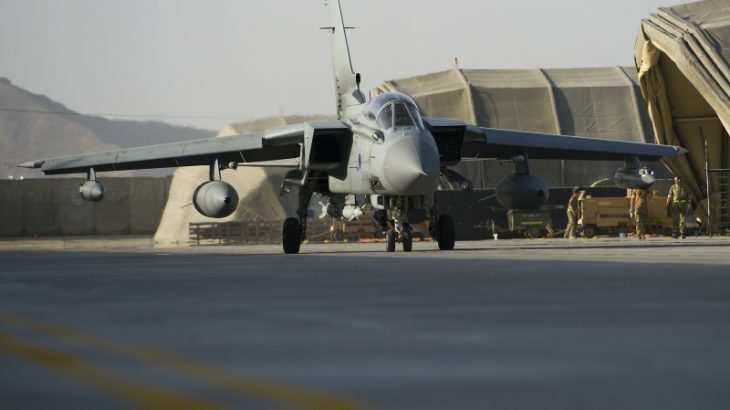 For the pre-peace dividend RAF this meant that every NATO assigned squadron or unit was expected to generate 80% of its declared ORBAT and CR air and ground crew to achieve 3 weeks of combat at Medium and 1 week at Maximum Rates of Effort. On every operational RAF unit in those days the whole of the command and station executive team was geared to this aim. The RAF traditionally split its aircraft fleets between Long Term Storage, 4th line Industrial repair or modification programmes, 3rd line RAF Depot, 2nd and 1st line on-base maintenance and daily available CR squadron assets. Today it is doubtful that MOD UK (Air) consider much of the above relevant – all that seems to matter is ‘Just in Time’, ‘Resource Accounting and Budgeting (RAB) and other commercial jargon that in Defence Terms spells failure whenever Readiness, Responsiveness, Resilience and Regeneration are neglected. All of which impacts Capacity: As the numbers of expensive complex weapons systems, platforms and personnel decrease, so availability is restricted too. Fewer platforms to meet the intensity of tasking inevitably equates to fewer front line assets being combat ready at the time they are most required, or simultaneously being in the multiplicity of places required. [One aircraft, armoured vehicle or ship can only be in one place at one time] Fewer platforms mean that those available are often operating beyond operational and maintenance planning schedules, almost always in more hostile environments than normal peacetime planning allows for – in essence being worked into the ground. This also applies to the more sophisticated munitions carried, which, when used beyond planned peacetime rates of effort, leads to a rapid and unsustainable decrease of weapon stockpiles. DS fully recognises that times move on, however, for the British Armed Forces the basic Principles of War do not. Being fully funded to meet the tasks assigned, to counter the threats anticipated, within the time frame expected, is the starting point for deciding what the ORBAT should be. That the RAF only generates 66% of its aircraft is not of itself a problem unless, as seems to be the case, MOD is unable to define what its war role is and what the ORBAT should be to meet the threat. Then, as does seem to be the case, it is not just a problem but a military disaster waiting to happen.